This is how Champion Beadlocks work. There are a lot of different wheel options out there, and just as many opinions. Some wheelers favor basic steel wheels that are so cheap you don't have to feel bad about replacing them after they get scraped and bent by hard wheeling. Steel wheels can even be bent back into shape if they are severely mangled. Others prefer the light weight and good looks of aluminum rims. Cast aluminum rims can crack though and are more expensive than steel wheels. 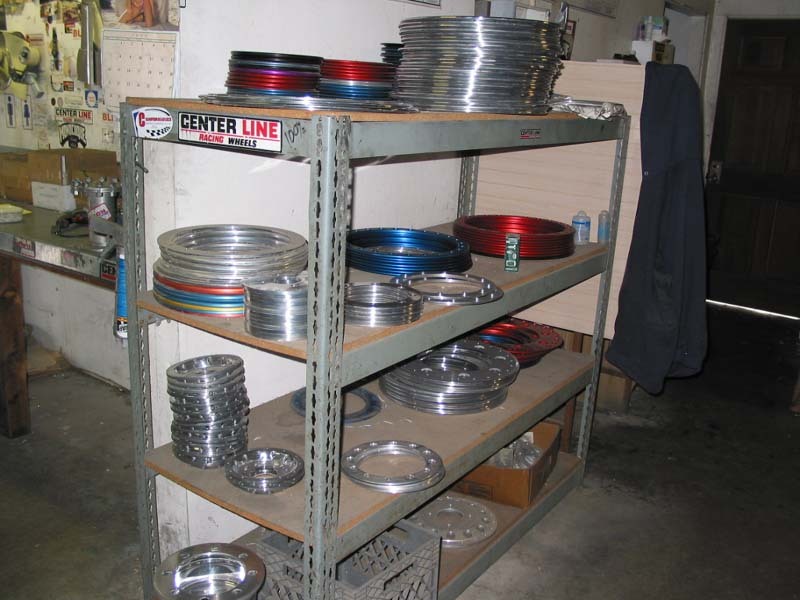 In recent years, beadlock wheels have been increasing in popularity. As a result, many vendors have entered the beadlock wheel market, such as Trailready and Allied. Champion Wheel, by contrast, has been making beadlocks for 18 years. Another distinction to be made about Champion is that they only deal with aluminum wheels, which are much more difficult to properly modify than steel wheels. 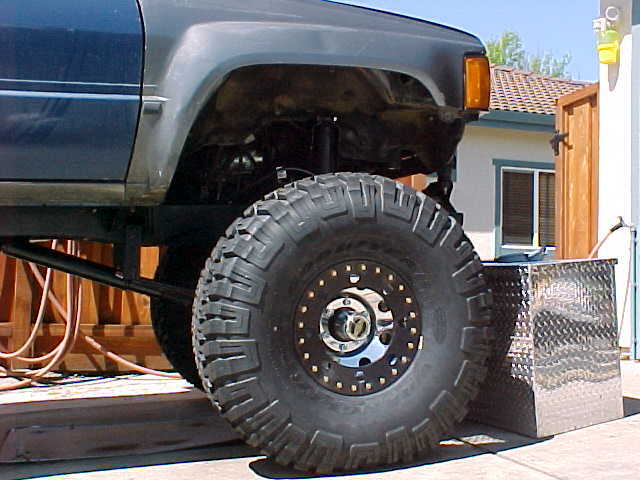 I wanted the best, so I ordered Mickey Thompson Classic wheels from Summit Racing for my truck. These wheels are hot forged aluminum and are rated at 2600 pounds per wheel. Forged aluminum wheels offer the best of both worlds with more strength than steel wheels and less weight than cast aluminum wheels. These wheels are made for Mickey Thompson by Alcoa, famous for their medium and heavy duty truck rims. I ordered the wheels from Summit Racing on Monday night and they were on my door step by Thursday, without any additional shipping charge beyond Summit's normal $7.95 order handling fee. 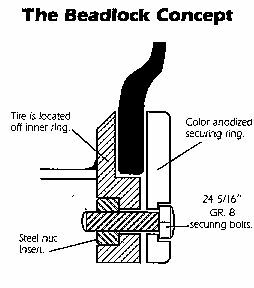 These are the differnt stages in the life of a beadlock ring. Soon after I received the rims I took them to Champion Wheel's facility in Fresno, California. 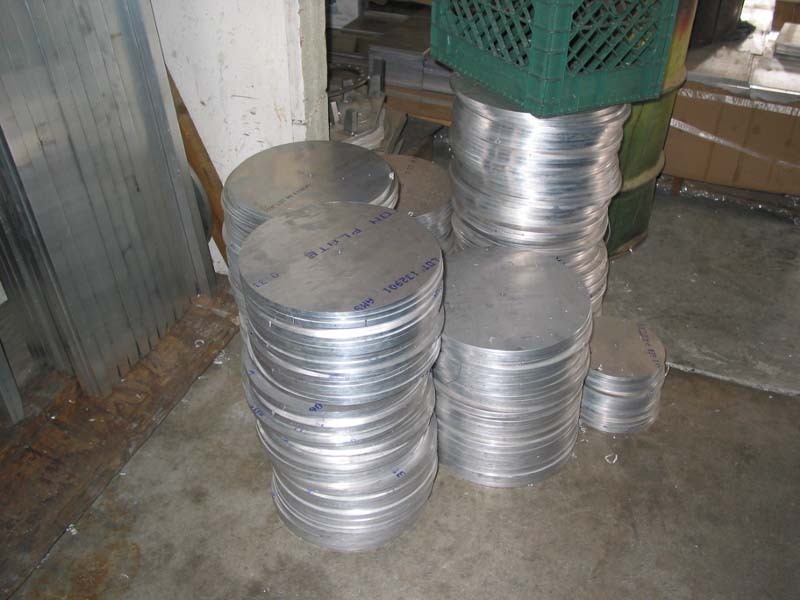 They can convert your 15", 16", or 17" aluminum wheels to beadlocks for a modest fee. Champion also offers its own line of beadlocked rims, which are based on American Racing wheels, if you prefer one stop shopping. Milan Garrett, owner of Champion Wheel, started making beadlocks for sprint cars back in 1985. Since then he has expanded his line to cover ATVs, micro midgets, drag racing, off road racers, and rockcrawlers. Despite the wide range of applications, Champion still devotes all of their time to make one thing, beadlocked wheels. That focus results in a product of unmatched quality. 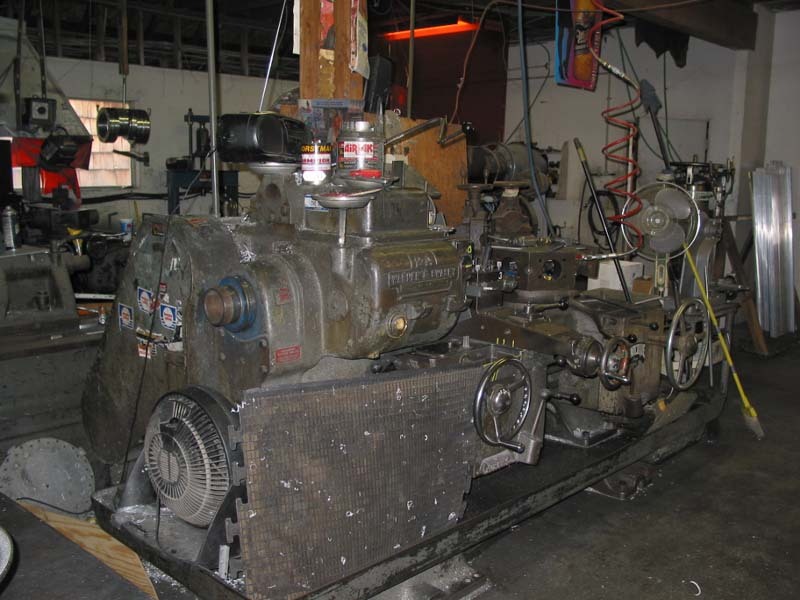 All of the machine work necessary to convert standard wheels to beadlocks is done on site at Champion's facilities. 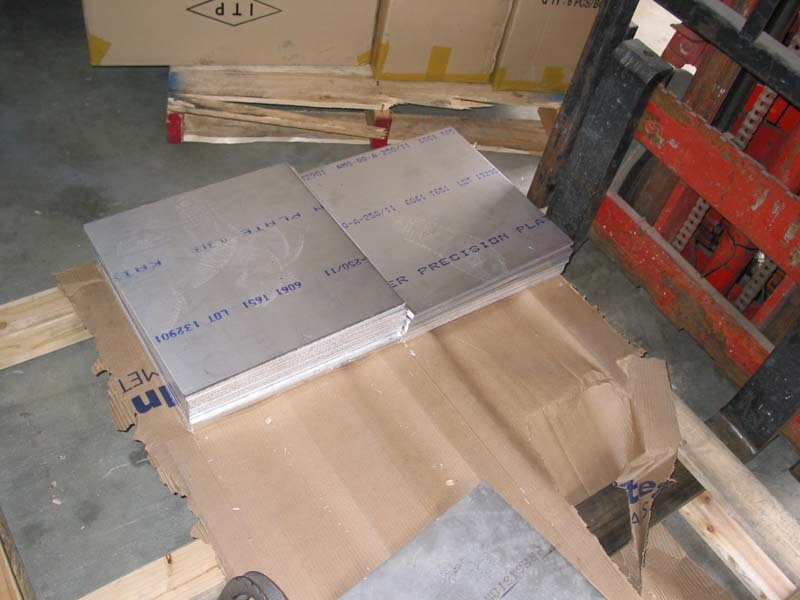 The only process done off site is the polishing or anodizing of the beadlock rings. The jig used to form the beadlock rings. More machinery in the Champion facility. 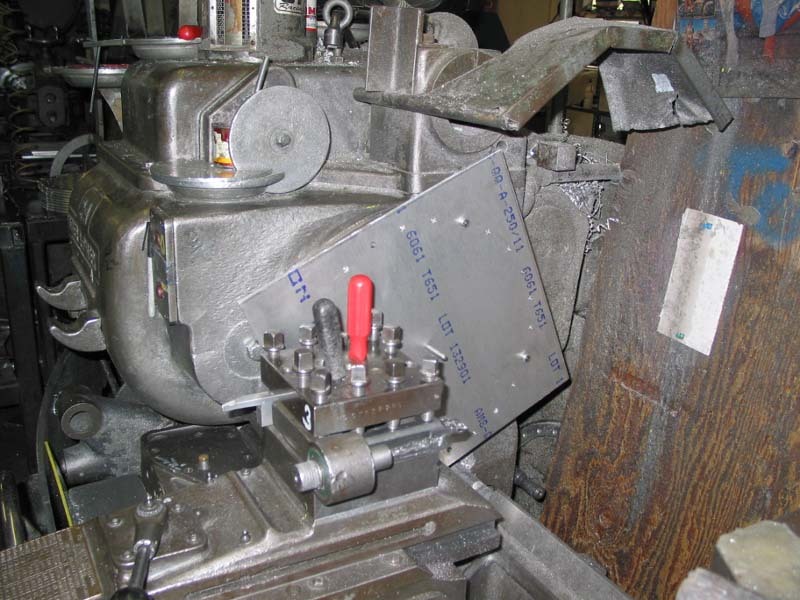 The outer rings start as a square sheet of T6-6061 aluminum that is turned on a lathe and machined with a jig until is ready to be bolted to the wheel. The inner ring is made from 5/8" x 1 " T6-6061 aluminum that is rolled into shape, fit with steel nutserts, and welded to the rim. Milan noted that a seam on the inner beadlock surface is non-critical, as this section is welded to the rim anyway. 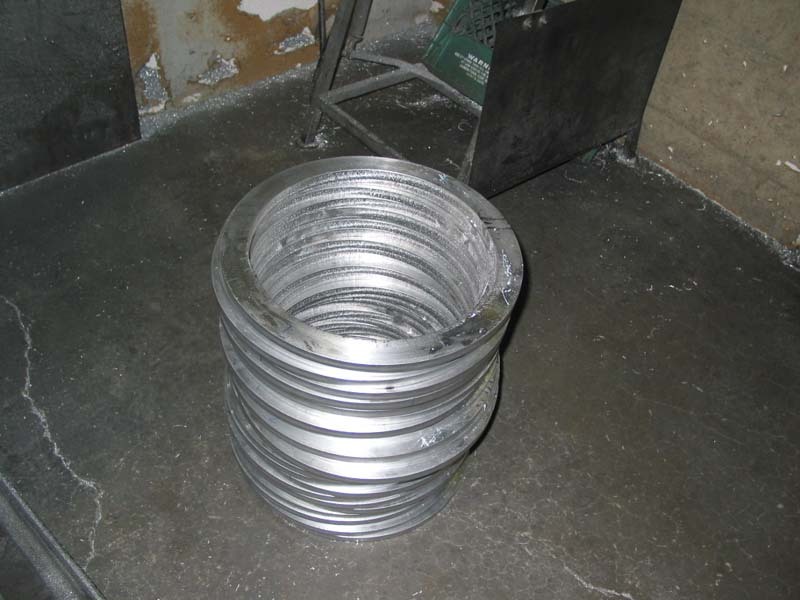 He stressed that the outer bead must be one piece in order to ensure the necessary strength in demanding applications. Champion does not sell beadlock "kits" to the public, as the machining and welding process on aluminum wheels is very precise in order to ensure strength and safety. Champion started by cutting the outer bead off my brand new wheels, which is a little unnerving. Next a mounting flange is welded on to the wheel in place of the bead. 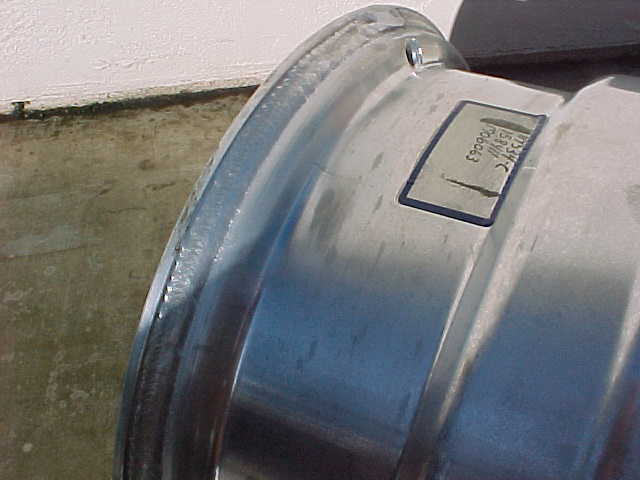 Fitment of the flange is critical in order to ensure that the wheels are balanced and do not leak. The flange is loaded with replaceable high carbon steel nutserts. It is to this flange that the outer beadlock ring attaches with 24 5/16" grade 8 bolts. I chose the wider GNT (Grand National Touring) rings for my application. These rings protect the valve stem, but they also make it hard to reach when airing up or down. In order to accommodate different tire bead widths, Champion Wheel counter bores the outer ring at a 10 degree angle so the ring will flex and be able to rotate under the bolt head when tightening. This relieves the stress on the bolt head. Note in the pictures below how the uninstalled beadlock ring is flat, yet it flexes into a conical shape once mounted to the wheel. When the rims returned from Champion Wheel they were mounted with new 37x12.5R15 Goodyear MT/R tires. It should be noted that most tire and wheel retailers do not like to mount tires on beadlocked wheels, so plan on doing it yourself. Leave plenty of time too, as it took over an hour per wheel to mount the tires. In order to start the mounting process it was necesary to use longer than supplied bolts until the ring was firmly seated against the bead. Then the supplied bolts were coated with anti-seize and tightened in a criss-cross sequence until they were snug. Finally all bolts were torqued to 15 foot pounds. The tires went on the wheels easily and overall offer a strong and light combination. I have not balanced the assembly, but I am using Centramatic wheel balancers and I have encountered no vibrations at highway speeds. Additionally, the tires have not lost any air due to leaks. The Champion beadlocks offer a shoulder on the flange that centers the tire on the wheel and minimizes wobble that can occur with other beadlock designs. Considering that these same beadlocks are used on top fuel cars that travel over 300 MPH, I doubt that I will have any problems with them. 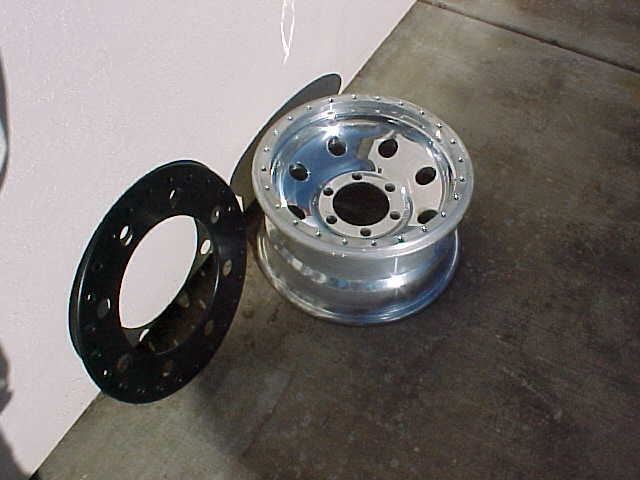 If you are losing beads off road and want to reuse your current aluminum wheels or shed weight for your rotating mass, give Champion Wheel a call. From left to right are the weld where the wheel was modified, the uninstalled ring and wheel, and the converted wheel with the beadlock ring installed.